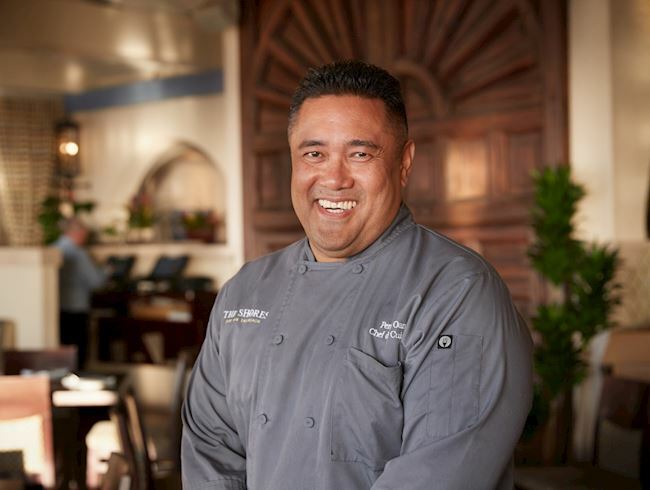 Executive Chef Bernard Guillas and Chef de Cuisine Percy Oani can be found at The Shores Restaurant adding their culinary signature to the Pacific coast of Southern California. They each bring their own masterful style and taste blending the best seasonal and local fare into every bite. The flavorful land and sea menus of these two top chefs pair perfectly with wine and drink selections from around La Jolla, San Diego, and beyond for a gastronomic collaboration unlike any other. 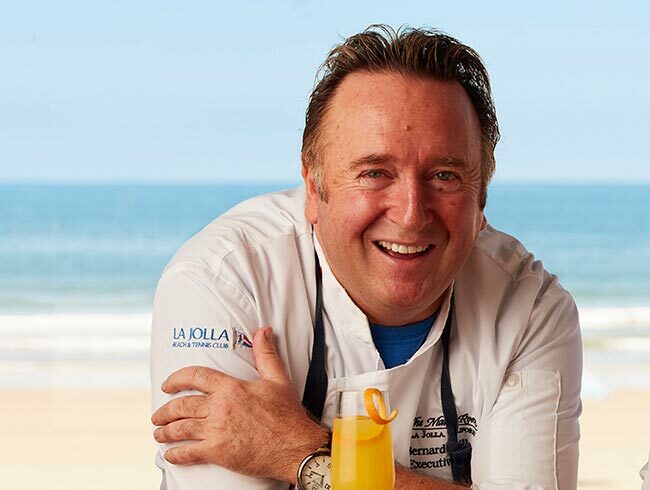 Award-winning Chef Bernard Guillas joined La Jolla Beach & Tennis Club, Inc. as Executive Chef in June 1994. In addition to The Shores, Guillas is responsible for directing the resort's other two restaurants. He began his formal training in 1978, at Le Bretagne Restaurant in Questembert, France, where he apprenticed with the legendary Georges Paineau. Chef Bernard promotes sustainability and plays an active role in supporting his local community. He regularly participates in Mama's Kitchen, Share Our Strength, Taste of the Nation fund-raiser for hunger relief, and the San Diego Bay Wine and Food Festival. In June of 2018, Chef Bernard Guillas' was inducted into the Académie Culinaire de France (French Culinary Academy) at the French Consulate in New York City, following his 2011 induction into the groups' sister organization, the Association of Maîtres Cuisiniers de France. Chef de Cuisine Percy Oani leads The Shores restaurant and catering teams with over 15 years of experience in the culinary arts. Chef Oani's use of fresh seafood and seasonal ingredients combined with the restaurant's ocean views and welcoming atmosphere, help create unforgettable dining experiences. Oani's culinary career began in the front of the house, waiting tables and tending bar, only to find that his interest always swayed toward the kitchen. Encouraged by his family, he attended California Culinary Academy in San Francisco. Oani's first employer out of culinary school, Peohe's on Coronado Island, recognized his talent and promoted him to Sous Chef within the first year. In 2000, he accepted a position at Roy's Restaurant leading culinary teams around the country including Phoenix, Jacksonville and Los Angeles. 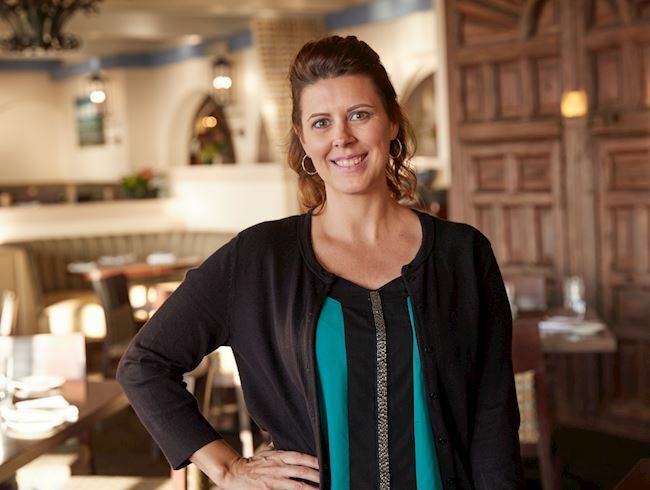 Seasoned Restaurant Manager and foodie, Jenny Bresnan brings her experience and enthusiasm to The Shores Restaurant. With a strong background in mixology, Jenny has added excitement, fun and creativity in partnership with Chef de Cuisine Percy Oani. 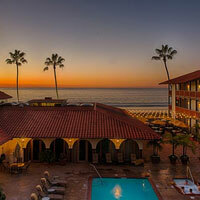 The Shores has received numerous Diner's Choice Awards and Gayot's Best Place for Brunch in San Diego. The Shores Restaurant is a fun, casual neighborhood favorite, where service, atmosphere, food and wine intermingle to form a feast for all the senses.